Population Growth, Limited Supply, and a Strong Economy? 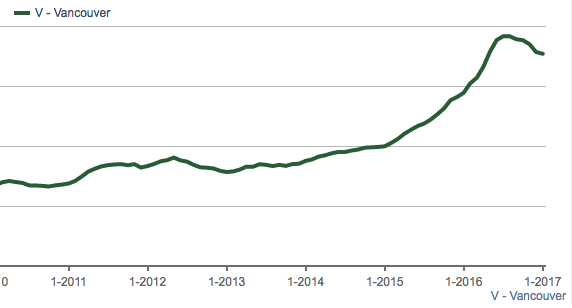 As of today Greater Vancouver real estate prices have soared by 39% since January 2015. We’ve been told the astronomical price growth has been a direct result of population growth, limited supply and a strong economy. New findings show otherwise. Population growth in Vancouver has been average at best. Metro Vancouver ranked 11th of all Canadian cities for population growth from 2011-2016. The population grew by 6.5% down significantly from the 9.3% growth from 2006-2011. 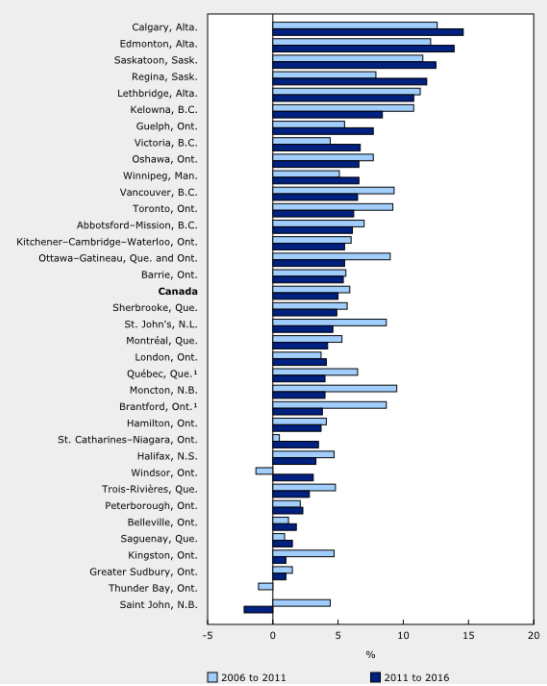 Population growth in Vancouver ranks 11th of all Canadian cities. Meanwhile, as prices continue to surge, research from U-Haul suggests people are leaving Vancouver. Each year, U-Haul studies how many of its trucks leave various communities on one-way trips versus how many trips are arriving. According to the U-Haul data, Vancouver is a “net-loss city,” with 52.9 per cent of one-way U-Haul trucks leaving the city versus 47.1 per cent arriving. As i’ve talked about before, supply tends to be a symptom of the underlying issue and a shortage tends be more a result of unsustainable levels of demand. Of course, having over 25,000 empty homes in Vancouver doesn’t help. That’s a 15% jump from the last census in 2011. Adding to that, Richmond’s empty home problem continues to rear it’s ugly head. The Ghost City saw a 25% increase of unoccupied or temporarily occupied units. Solving these issues alone would free up an excess of supply. Instead, we are attempting to build our way out, with record housing construction under way in 2015 and 2016. Much of that supply will likely be scooped up and flipped for higher prices before it even completes. It’s the Economy Stupid. Yet wages are virtually stagnant. Could the economy really be responsible for this kind of surge in real estate prices?